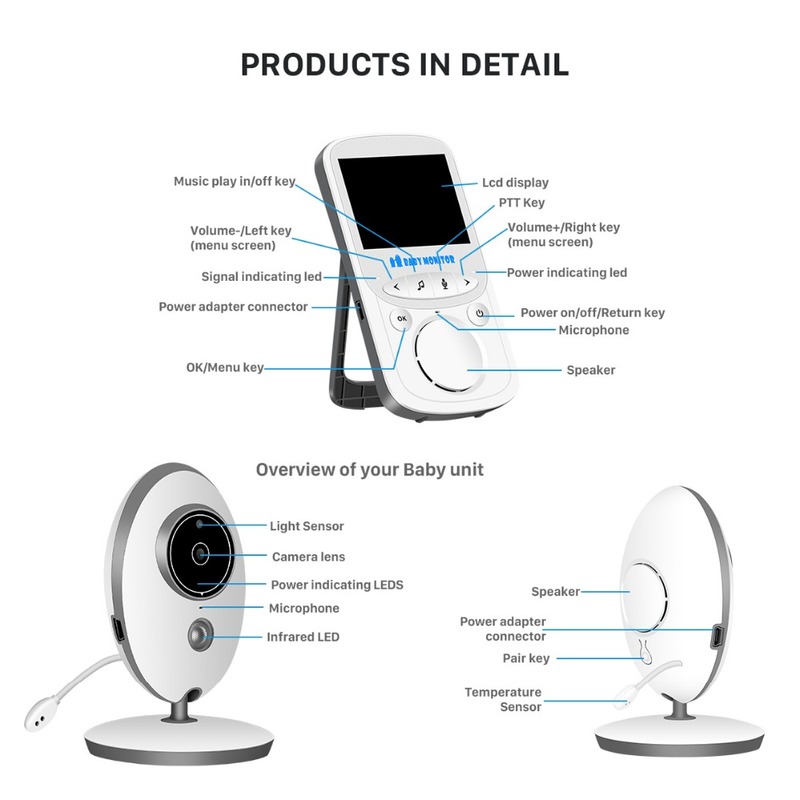 You can talk back to soothe your baby through parent unit. 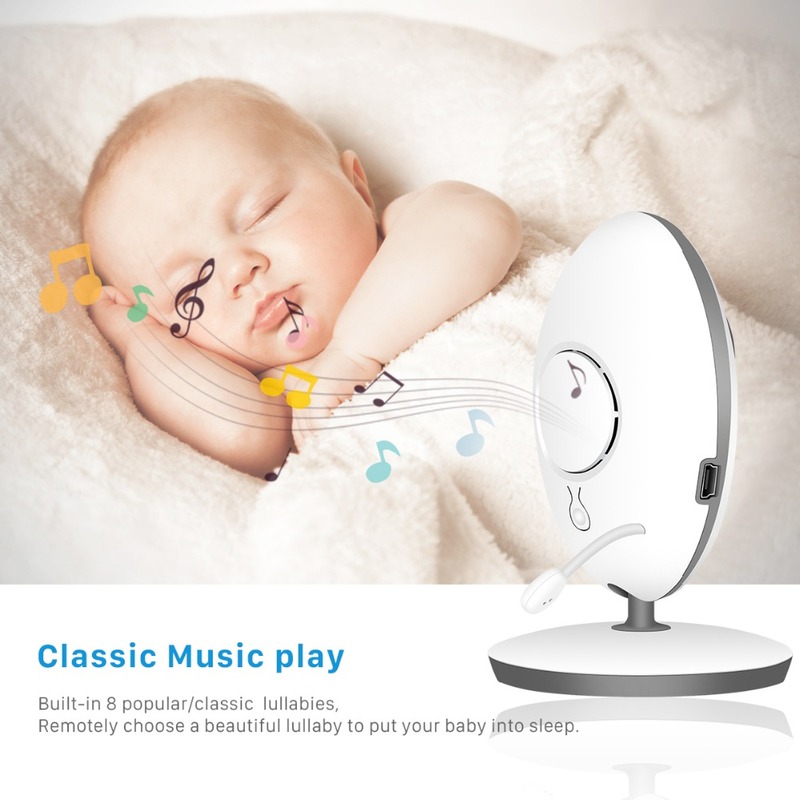 Remotely choose a beautiful lullaby to put your baby into sleep. 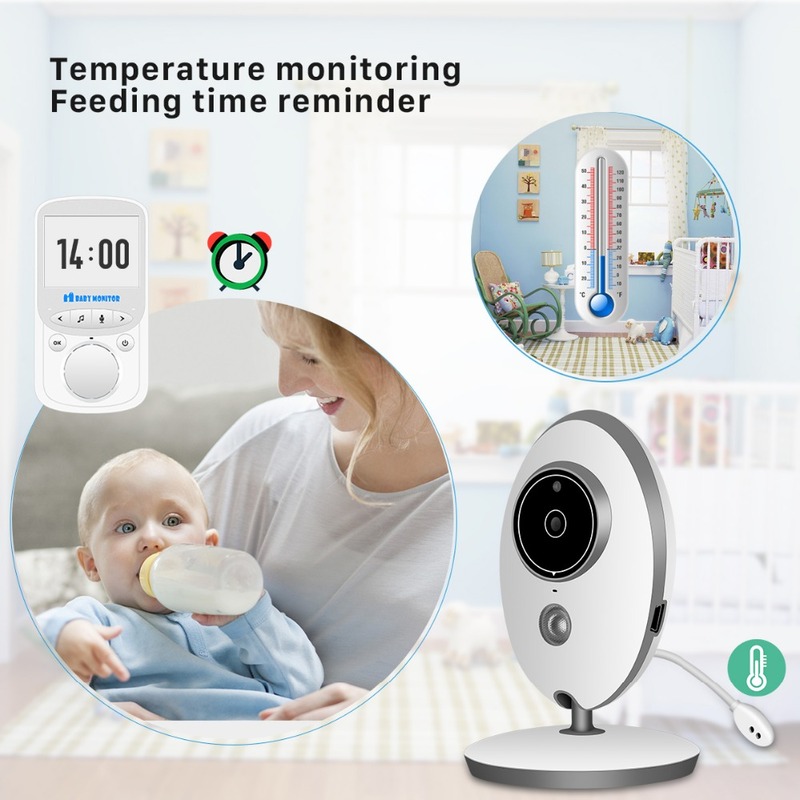 Monitoring the room temperature of your baby all day long. Customize time to feed the baby or change the diaper. 3-5 hours of battery life In normal mode. 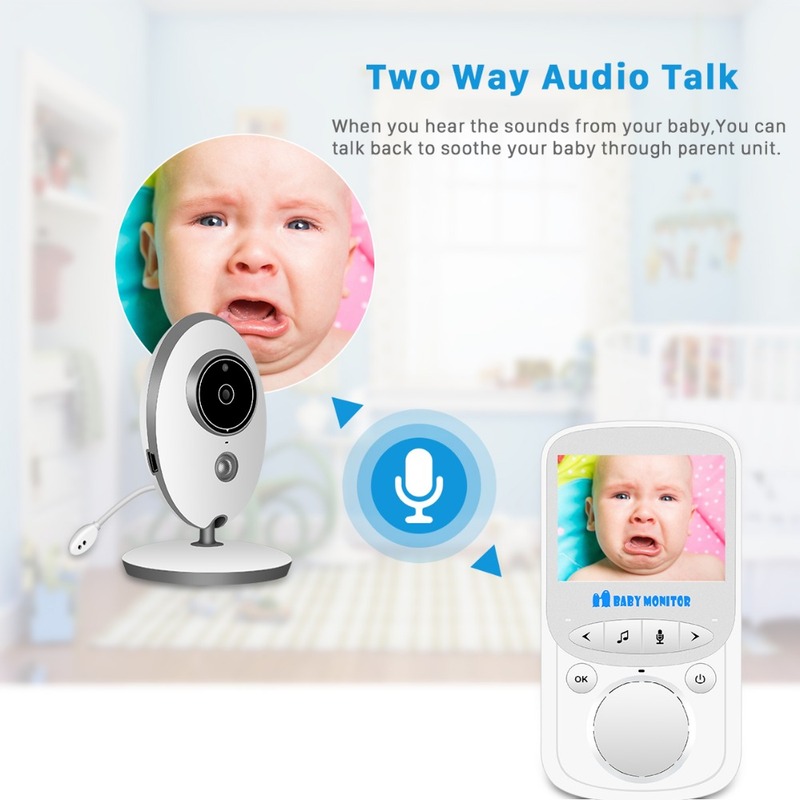 when sounds (No sound) detected by baby unit. 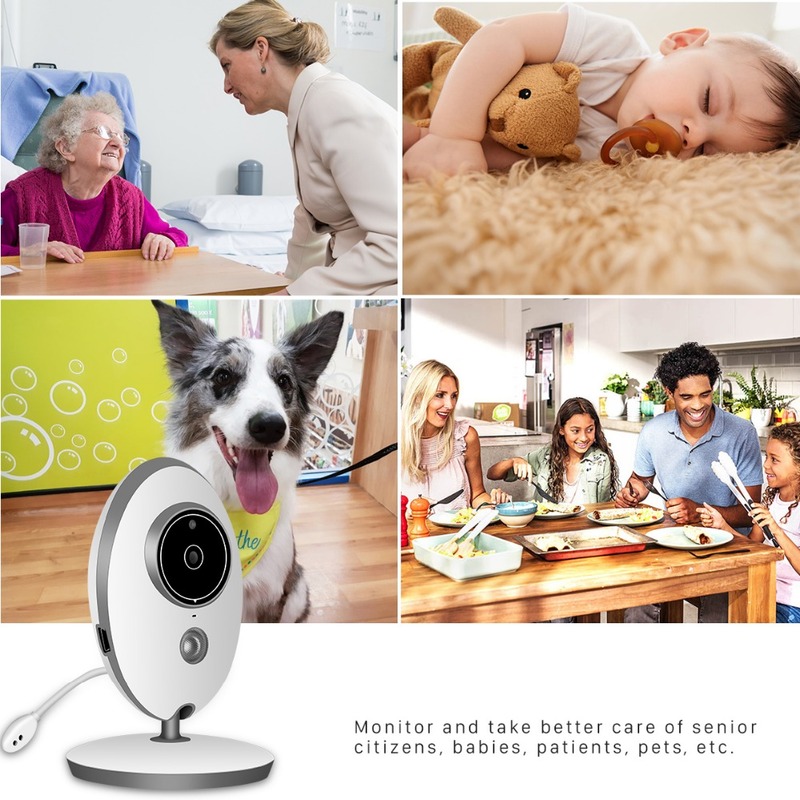 Monitor and take better care of senior citizens, babies, patients, pets, etc. 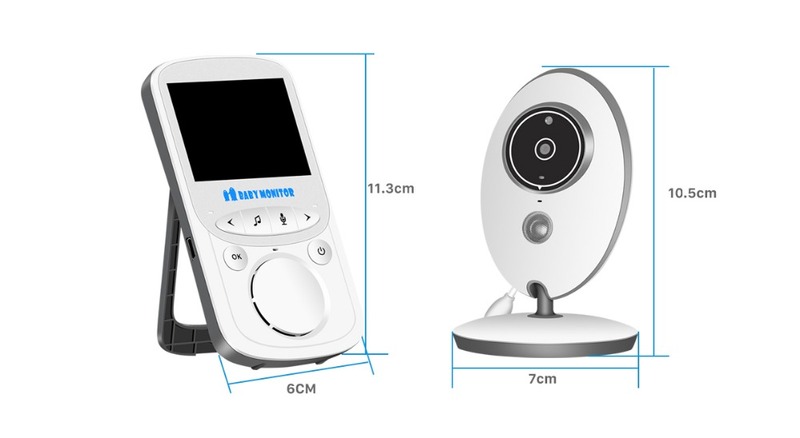 then push the pair key on the back of baby unit within 10 seconds, camera and Monitor will pair directly. 2. Please charge the unit before use. 3. 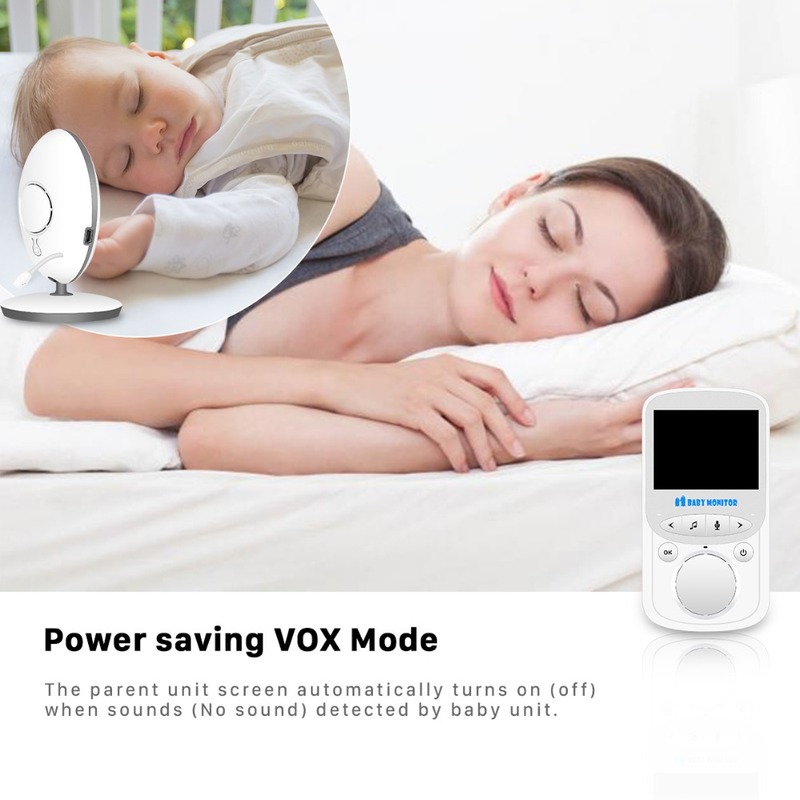 Recommended to set the volume to medium level to extend the service life. 4. 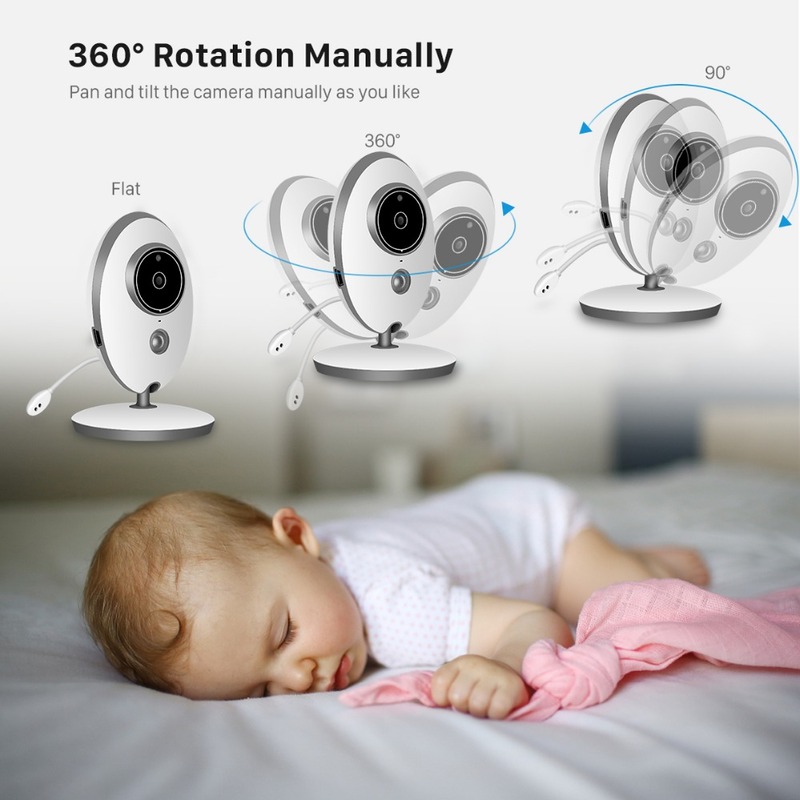 Do not place the parent unit too close to the camera which may cause noise. 5. The camera needs to be adjusted manually. It cannot be remotely controlled. Very quality nice. 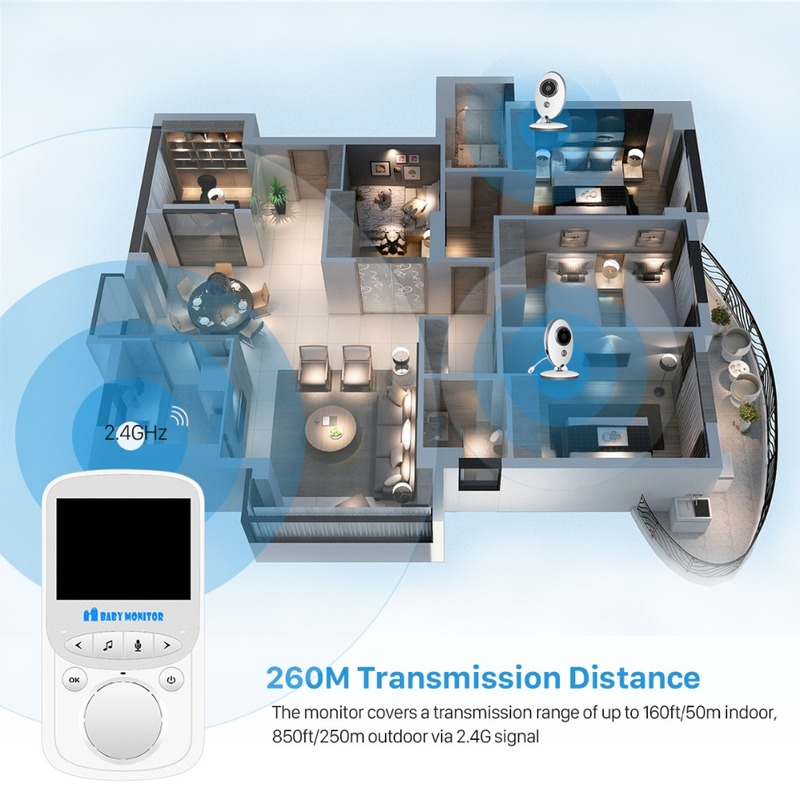 Excellent product at a reasonable price. Fast delivery, good contact seller. 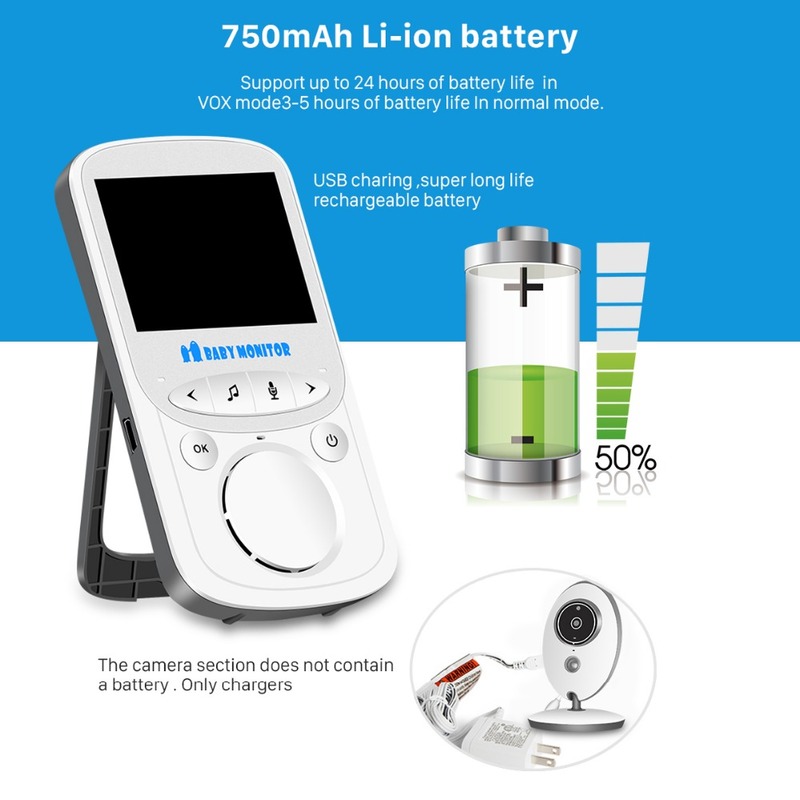 Camera works good sound and image. I am glad. Thank you and recommend. Great product! Use every day. Delivery! 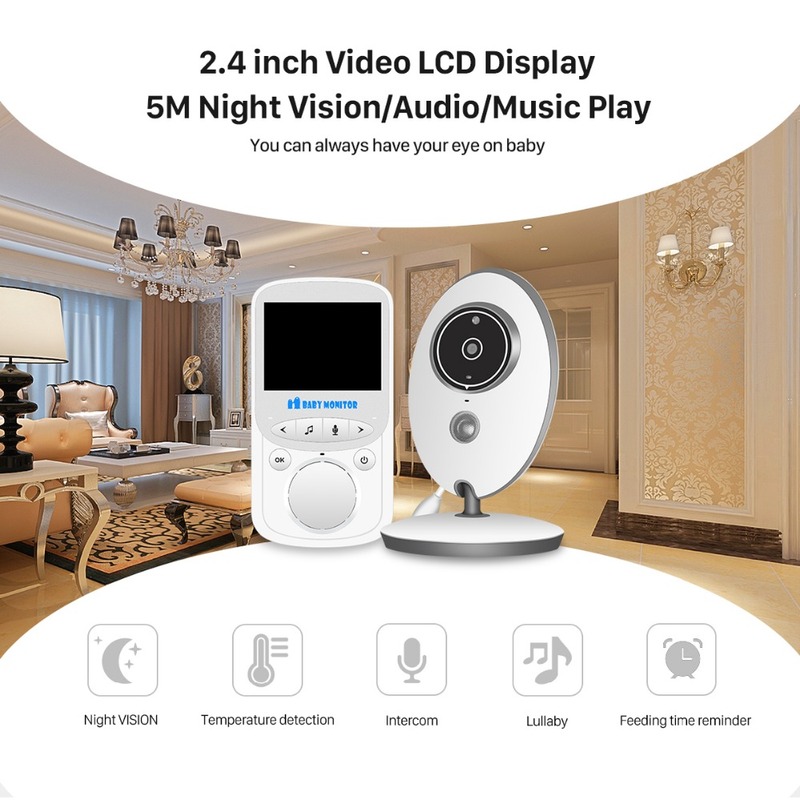 Fast delivery, great product, everything works very good. A great thing. Works well. Look like the picture of the seller. Delivery 10 days. Packaging is good. I AM happy. Recommended items and seller.